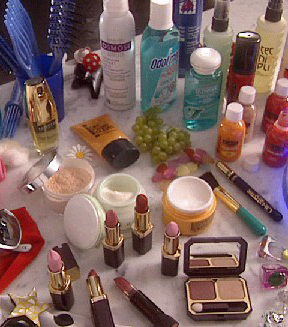 The cosmetics sector is an increasingly global market and is particularly important for Italy. For over 15 years Agostini Associati has worked with prestigious Italian and international companies in the cosmetics industry, providing high value added professional translation services thanks to its specialised mother tongue translators. adaptation of international advertising campaigns, technical translations of product sheets, translations of press releases and sales materials such as brochures, catalogues and presentations. translation of websites and metadata for SEO to improve positioning on Italian and foreign search engines; translation of newsletters, blogs, Intranet, e-Commerce, as well as multimedia and video presentations. regarding product components. Translation of patent requests and documentation to present at European level. for the cosmetics sector and scientific publications on research or developments in the market. provided by mother tongue professionals who will assist you during business meetings or trade fair events in the cosmetics sector. Italian translation agency Agostini Associati translates into 100 languages for 70% of the companies quoted on the FTSE Mib, establishing its reputation as a top quality and highly reliable linguistic partner and guaranteeing the maximum confidentiality and security of all information provided by its clients. The cosmetics industry is very diverse and is made up of companies focused on meeting our requirements in terms of beauty and body care: products for the hair and skin, products for the body, make-up and perfumes. As such, Italian translations in the cosmetics sector include an equally wide and complex range of specialist terms. The high quality and linguistic consistency of the translations provided by Agostini Associati is guaranteed by the extensive experience of its translators in the cosmetics field, but also the use of glossaries and style guides that have been specially created for the cosmetics sector.